The water of the waterfall Cascade de la Beaume falling down over rocks. 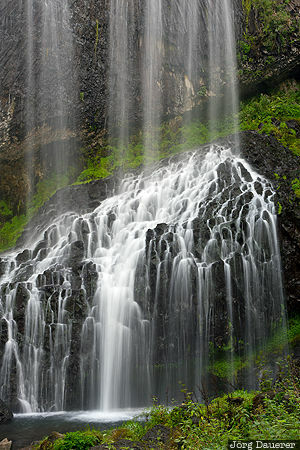 The motion of the water falling down is made visible by using a long exposure time. Cascade de la Beaume is in Auvergne in the center of France. This photo was taken in the afternoon of a cloudy day in September of 2015. This photo was taken with a digital camera.